Engineered floorboards have advantages over solid floorboards - and they are cheaper and better for the environment. 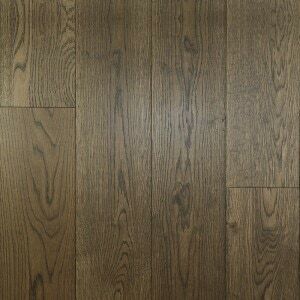 This article explains the pros and cons of engineered oak flooring and highlights where you can get the best value for money. If you want to know why "engineered" and "oak" are desirable when it comes to timber flooring and if you want that desired wide plank floor that all the architects and interior designers are specifying then read on . Engineered flooring has been around for about 20 years. The popularity of Engineered European Oak flooring has really grown and it is now the most desirable timber flooring choice. Read on to see why. 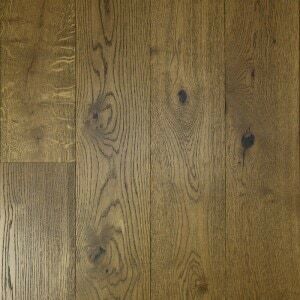 So why does everyone desire European Oak? When compared to other hardwoods and American Oak it has a unique grain pattern and variability. This is mostly due to its slower growing cycle, which produces a tighter grain, and due to the way it is cut from the log. 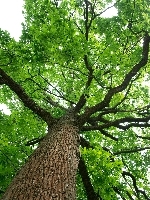 With American Oak there are three different types of "cut": Plain sawn, Quarter Sawn and Rift Cut. Depending on how the log is cut you will get one of these grain patterns. With European Oak, usually cut in France or Germany, the technique involves starting with a “square” from the centre of a log, called a cant, and slicing it. The result is a wider plank, typically 170mm to 250mm wide. The centre has a fantastic plain sawn pattern, flanked by a unique rift and quartered grain pattern, all in the same piece of wood. Getting all three grain patterns from one piece of wood is what makes it highly desirable for feature timber floors! 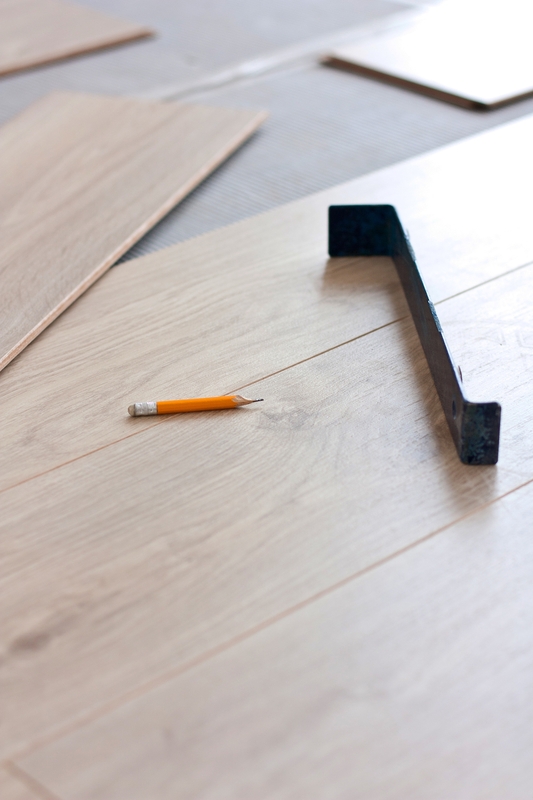 Why is engineered flooring regarded as superior to solid timber flooring? It is due to how it is constructed. A solid piece of timber acts as timber can - it takes a long time to acclimatise, and it can warp and change with the temperature, air moisture and environment. That is why solid timber planks are generally narrow - to minimise these issues. Engineered timber boards have an engineered base constructed from gluing multiple layers of plantation plywood in many directions to give it high strength. A thinner surface wear layer of solid oak is then glued to this base - this can typically range from 2mm to 5mm, which is enough to provide decades of wear and to allow for multiple future sandings and re-finishings. The top oak wear layer is generally the same thickness as what is usable in a traditional solid board - so there is no loss in the wearability or lifetime of the board. The engineered base is the key - given its strength and rigidity it does not change shape like solid timber. So it can therefore be made into wider planks with the oak layer glued to the top. Wide and long planks are sought after by architects and interior designers to provide a stunning look for a large room. Engineered boards are arguably more tolerant of moisture than solid boards - although timber flooring should of course not be used where moisture is expected to be prevalent. As engineered flooring boards are predominantly sustainable plantation plywood they are much friendlier to the planet than solid oak flooring. Far less slow growth oak is used to achieve the same look and lifetime, and most of the floorboard base is from regenerating plantation forests. 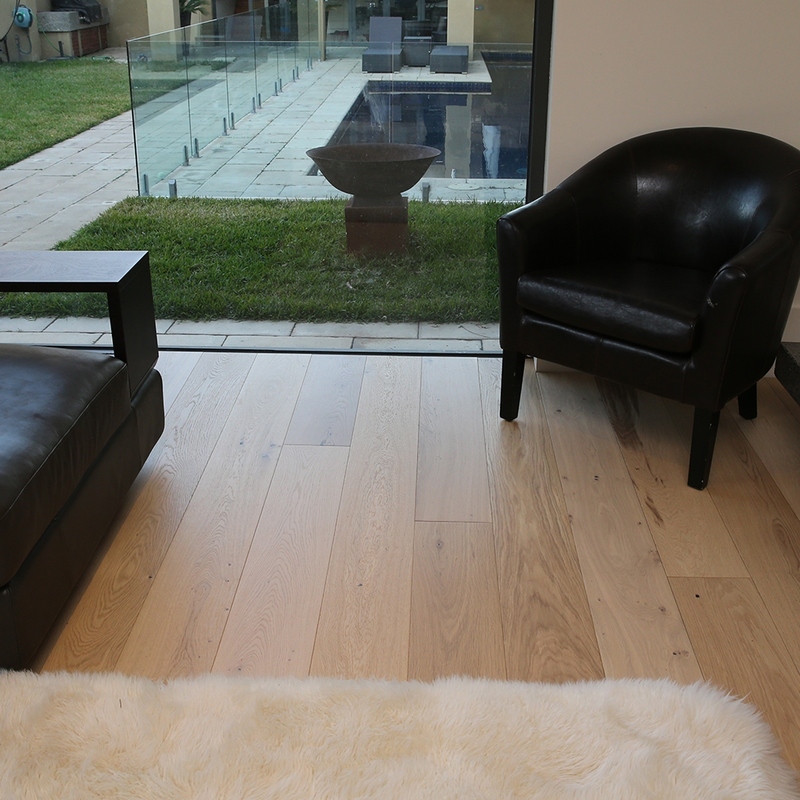 Engineered oak floorboards installation is hassle-free. They acclimatise very quickly to the installation environment, and as a "floating floor" so they are quickly installed over any subfloor that is flat and sound. As they are pre-finished they are ready to walk on as soon as the job is finished. We have customers that have laid an entire house in a day as a DIY job! That is a very different scenario to traditional floor boards that require extended acclimatisation, multiple sanding phases after installation, and multiple lacquering. Engineered boards are stronger and can be made wider, and are more tolerant of moisture. They can be used as long as the subfloor is flat, and can be used in many places that solid hardwood flooring cannot. Engineered boards use less slow growth hardwood than solid boards so are a far more sustainable product than solid wood floors. Engineered boards are typically cheaper as less hardwood is utilised for the same surface area. Design - look for the colour, finish and plank width that will complete your home. Wide planks with a matte or semi-distressed finish are very popular. There are many colours from limed light colours to deep chocolate with dark grains. Real oak - ensure it is real European Oak. 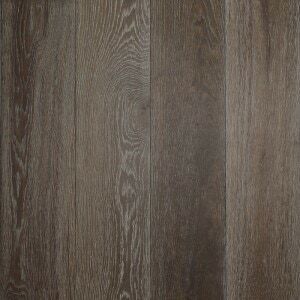 If the description is just "oak" or the timber type is not specifically specified then it might be an alternative hardwood being marketed as European Oak. Finish - a pre-finished board will save you a lot of time and hassle. They should come with a scratch resistant surface in the colour and finish (matte/satin/gloss - limed/highlighted/distressed etc) you want. Check the boards are UV protected as this is important in Australian conditions where there is an abundance of sun through windows. Plank size and thickness - if you are after quality then my view is an overall board thickness of at least 14mm is required. At this point the board feels solid. Also, longer planks are important for a larger space - at least 1.6m long in my view. Some hardware chains sell very cheap engineered boards at only 8mm thick and 1.2m planks! These are not made to last and are cheap because they are made from the shorter off-cuts. Wear layer - engineered oak boards should have a wear layer that will accommodate at least two future sands and re-finishes. With normal domestic wear and tear these boards will then last for many decades. Some cheaper boards have only 2mm of wear layer. 3mm or more is sufficient. Warranty - sellers that are not transparent about their warranty support for the product are probably not as willing to stand behind the quality of their product. Floorboards do require proper installation and observance of care for warranties to be valid - so understand these points. Whilst problems are rare, you want to know you are covered for any manufacturing defects or structural issues that might emerge over time. Accessories - ensure you can get compatible underlay and matching accessories such as edging (scotia) and stair nosing in the same oak and finish as your floorboards. This will ensure the entire project is seamless. 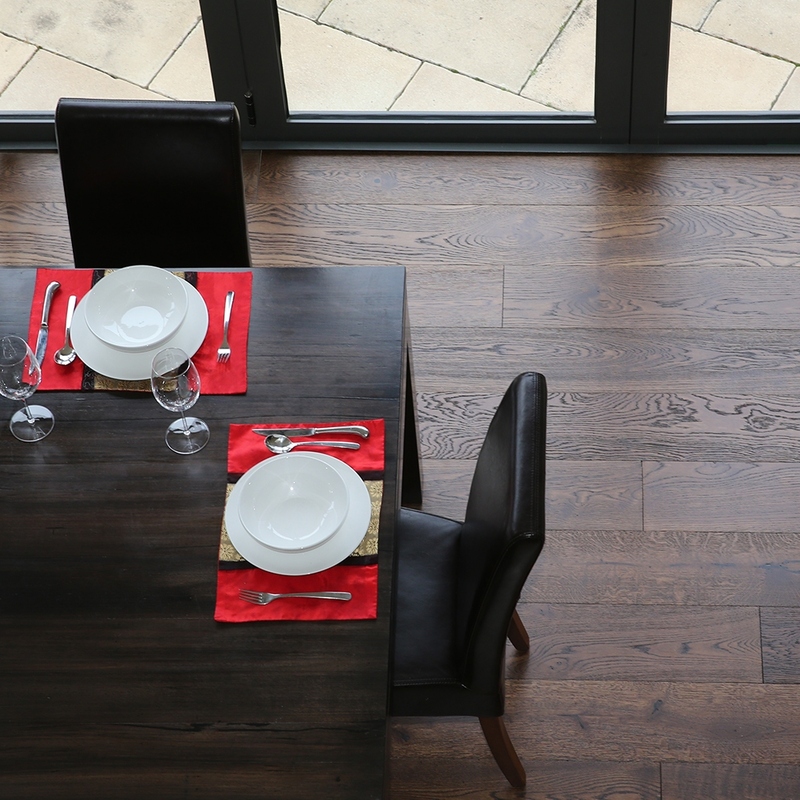 The traditional way to buy floorboards is from a local retail showroom - often a reseller linked to a supplier. Engineered floorboards should be less expensive than traditional solid hardwood flooring, but is still a substantial investment. Buying through a traditional retail sales channel of course attracts traditional retail sales margins (to cover rent, fit-out, salespeople, etc). If you are after quality engineered European Oak flooring then you can be smart and save buy buying from a reputable source online. Moku™ sells the full range of Engineered Oak floorboards online to anywhere in Australia at about 25% less than what you would pay in showrooms for an equivalent product. You can order cheap samples express posted to your door - so you can still "touch and feel" the product! The savings on a typical order can be $2000 to $3000 by avoiding the traditional retail margins that reseller showrooms have to charge! So I advise you to check it out.